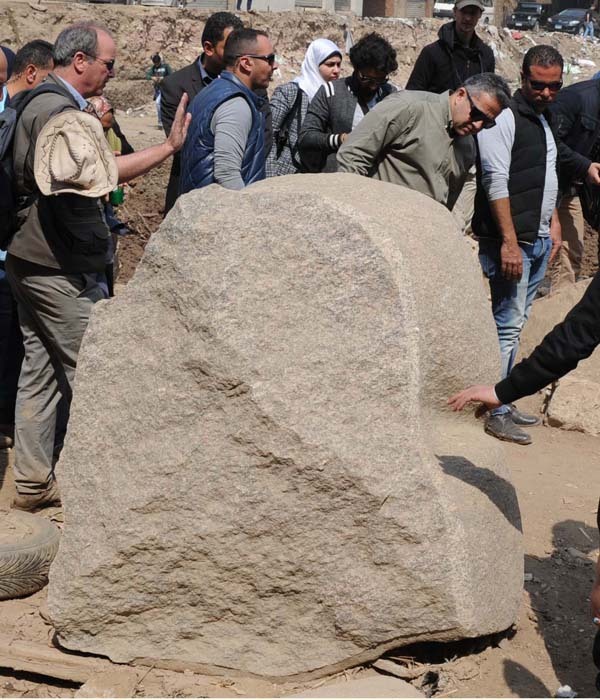 Egypt’s Minister of Antiquities Khaled El-Enany witnessed on Thursday the lifting of two newly discovered 19th dynasty royal statues from a pit at the Souq Al-Khamis district in the Al-Matariya area of greater Cairo. The statues were found in parts in the vicinity of the King Ramses II temple in the temple precinct of ancient Heliopolis, also known as “Oun,” by a German-Egyptian archaeological mission. Mahmoud Afifi, Head of the Ancient Egyptian Antiquities at the Ministry said that what has been found of the first statue is an 80cm tall bust of King Seti II carved in limestone with fine facial features. 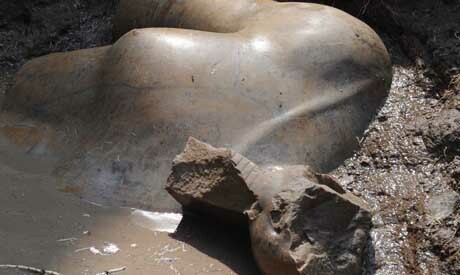 The second statue was found in large pieces. It appears to have been 8 metres long and carved in quartzite. "Although there are no engravings that could identify such a statue, its existence at the entrance of King Ramses II’ temple suggests that it could belong to him," Afifi told Ahram Online. Aymen Ashmawy, Head of the Egyptian team on the mission described the discovery as "very important" because it shows that the Oun temple was enormous with magnificent structures, distinguished engravings, soaring colossi and obelisks. Regretfully, he said, the temple suffered damages during the Graeco-Roman period, and most of its obelisks and colossi were transported to Alexandria and Europe. During the Islamic era, the blocks of the temple were used in the construction of Historic Cairo. 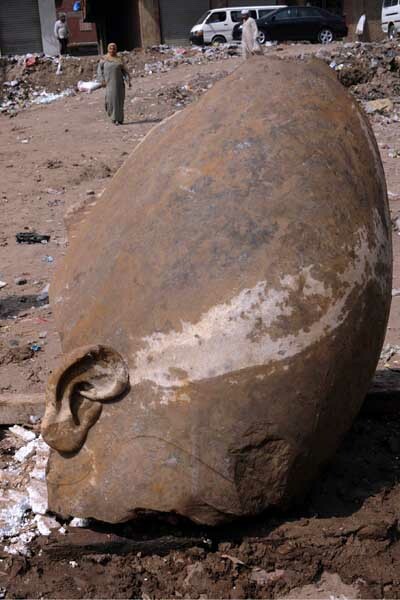 At the site, El-Enany said the parts of the statue that appears to be associated with Ramses II will be transported to the Grand Egyptian Museum (GEM) for restoration and display when the museum opens. El-Enany said the newly discovered artefacts would be placed, meanwhile, in a temporary exhibition at the Egyptian Museum. Head of the German mission Dietrich Raue said excavations would continue in search of other statues and artefacts that could reveal more of the ancient sun city’s secrets.